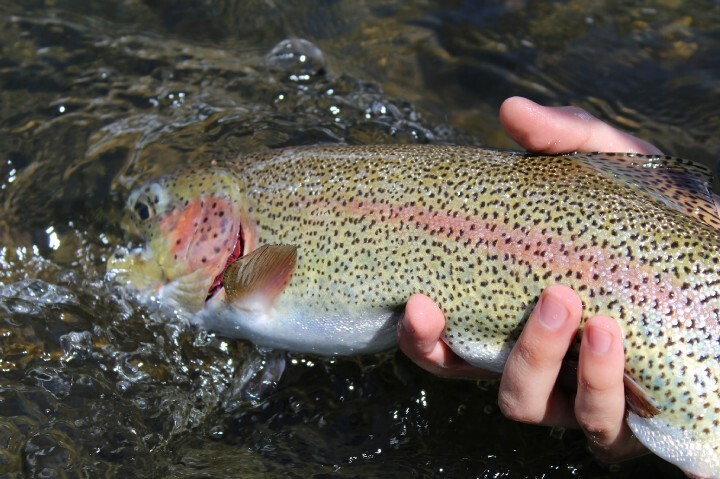 Here at Vail Valley Anglers we are blessed to have more miles of world class trout fishing than any die hard angler could cover in a lifetime of fly fishing. Our trout fishing takes place on tiny mountain creeks, medium sized freestone streams, cold clear tailwaters and also big brawling rivers perfect for float fishing from drift boats and rafts. 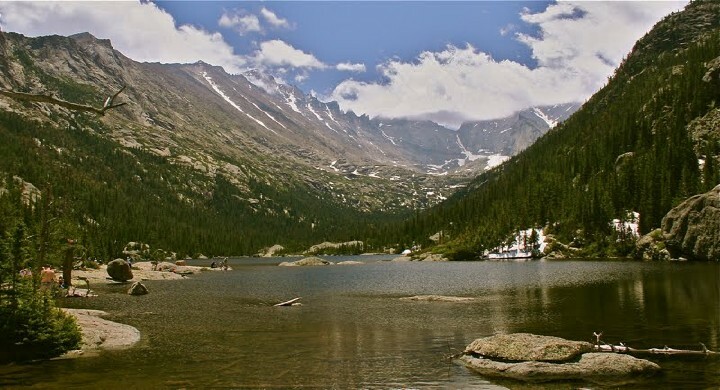 Also available is an abundance of productive stillwater options ranging from pristine alpine lakes to large reservoirs. It would be impossible to thoroughly discuss all the possibilities in a short fly fishing blog and there are some great detailed guidebooks on Colorado fly fishing available at the Vail Valley Anglers fly shop. The purpose here is to highlight the best trout fisheries that lie within an hour’s drive from our headquarters. The Eagle River flows right behind the shop and is one of Colorado’s most productive trout rivers. It is a classic freestoner featuring lots of pocket water and rock gardens throughout its length. The river from Edwards to Wolcott and down to Gypsum features an even mix of browns and rainbows with an occasional cutthroat. Trout up to 20 inches are always a possibility. Flows range from about 100cfs in the winter to over 3000 cfs during the peak of runoff. Ideal flows for wading are found below 800 cfs while floating is best between 400 and 2000 cfs. The Eagle has strong hatches of stoneflies, mayflies and midges and is best known for its incredible caddis hatch that brings with it epic dry fly fishing. Wading is good anytime except peak runoff times of mid May and early June and a short spring float season usually happens in April and summer float season runs from late June through July. 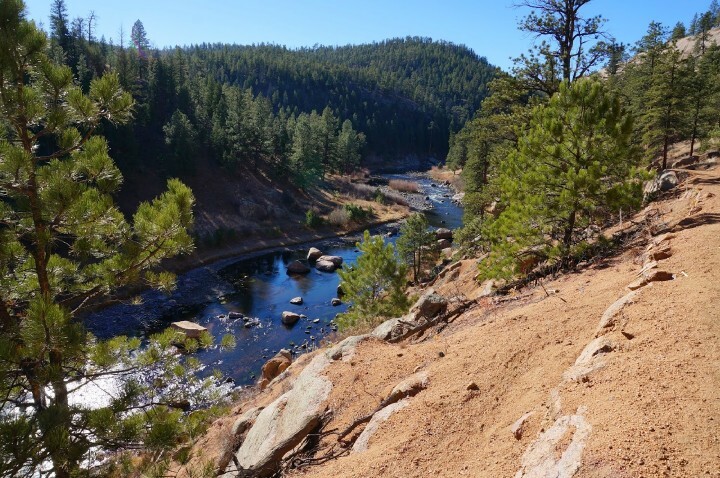 We focus on the section of the Colorado between Gore Canyon at Pumphouse Recreation Area down to Dotsero, and primarily float fish this area, a stretch of over fifty miles. Also from Glenwood Springs down to the town of Rifle is another thirty miles of river that is best accessed by drift boat or raft. The Colorado is a classic large western river that benefits from several tailwater tributaries that help to keep flows clearer and fishable. Unlike some rivers, the upper Colorado consists mainly of public land along its banks and access is not a problem. The early June salmonfly hatch is on many anglers’ bucket lists. Late summer hopper fishing and fall streamer fishing are outstanding. The Colorado River holds a majority of brown trout with enough rainbows to keep things interesting. 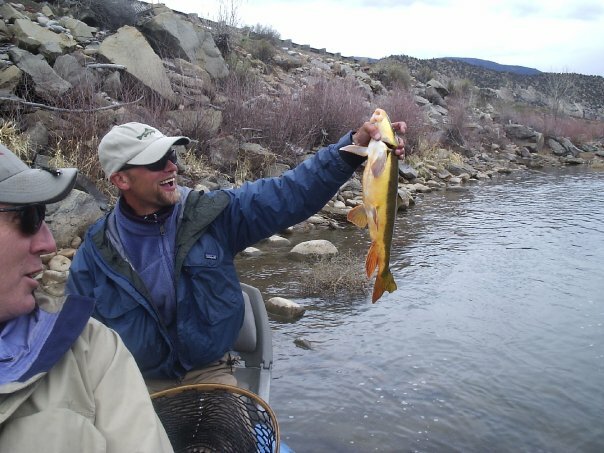 The best times to fish the upper river are between April and November while the lower river is available all year. The Roaring Fork River is large freestone stream that is a major tributary to the Colorado and features twenty five miles of Gold Medal Water between Basalt and Glenwood Springs. With an outstanding overall population of trout and a good ratio of larger than average fish over twenty inches, the Fork is as good as it gets anywhere in the West. This is one of Colorado’s premiere year-round fisheries and does not ice up in the winter time. Wading and floating are both excellent choices for plying these waters any month of the year. Early summer brings the Fork’s world famous Green Drake hatch that lasts for several weeks but spring and fall is when the largest fish are caught. Gore Creek is a small but very productive mounain stream that runs directly through the heart of Vail and next to our world renowned ski resort. All four species of trout swim here and the Grand Slam is always just a cast or two away. Anglers can be seen fishing Gore Creek directly below Vail’s ski lifts and getting a few powder runs in during a spring break morning and fishing small dry flies to rising trout in the same afternoon is a common occurrence. Summer evening dry fly fishing is fantastic. Access on Gore Creek is very good throughout its run down to the Eagle River. For anglers looking for numbers of big trout, central Colorado has several tailwater fisheries within an hour or so of Vail that hold big, heavy, challenging browns and rainbows. These fish can reach over ten pounds and because the bottom draw flows of these rivers are dam controlled, those huge trout can be pursued even on the coldest of winter days or hottest of summer afternoons. Water temperatures stay well above the freezing point in winter and remain cold all summer. Insect life is abundant and steady sources of food keep the trout actively feeding. Small flies and fine tippets are often necessary as these trout see plenty of anglers but at certain times during good hatches, big flies and strong leaders can be used. For excellent tailwater opportunities look towards Basalt and the famous Frying Pan River. Head over Vail Pass to the Blue River below Dillon Reservoir for easy access to good fishing. Meanwhile on the way to Steamboat Springs is Stagecoach Reservoir (a fine northern pike fishery) out of which flows the Yampa River tailwater that is home to an abundance of large rainbows. For the fit fly fisherman who enjoys hiking and seeks solitude, high country angling near Vail is unmatched in quality anywhere in the Rocky Mountain region. Endless miles of fast moving, pocket water filled mountain creeks and winding, lazy meadow streams flow out of lakes that lie above timberline and are full of trout themselves. Well-maintained hiking trails are the norm here and these trails generally follow streams up to their source at one of the many lakes. Native cutthroats and introduced, but wild brookies are the usual quarry and they will eagerly attack attractor dry flies and small streamers all summer and into early fall. The high country season runs from June through September depending on snowmelt in the spring and snowfall in autumn. Looking to Fly Fish in Vail, CO? As you can see, finding a good place to fly fish in the Vail area is not a problem. Your real challenge may be choosing which stream or lake to fish first. At Vail Valley Anglers, we are happy to point you in the direction of the best fishing at any time of the year and assist you with fly choices for any stream in our area or any part of the world. Always consider hiring a guide if learning new water or questioning where to go is a concern. Our guide staff is a top notch group of experienced, local professionals that know the area trout waters better than anyone. Next post What Is the Best Guided Fly Fishing Trip for Trout?